The Empire State has had a complicated history with the daily fantasy sports industry, with former Attorney General Eric Schneiderman moving to crack down on DraftKings and FanDuel in 2015. The following year, the state authorized the contests, and the industry then continued in New York. With Monday’s ruling, the state’s future in online gaming could be muddled. 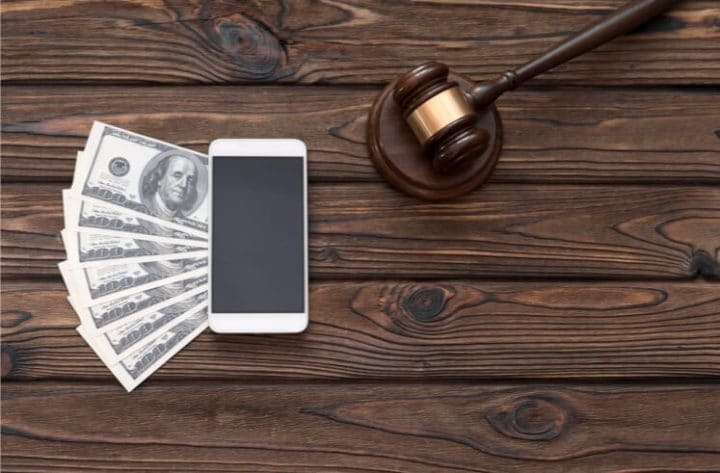 However, the court battle is far from over and the legal landscape could soon change to the advantage of DFS operators. The 2016 New York daily fantasy sports law defined the contests as games of skill. However, the plaintiffs in the case — a group of “citizen taxpayers” who are concerned about problem gambling — claimed that because there’s a “material” degree of chance in the contests, the New York legislature didn’t have the constitutional authority to approve them without voter consent. The legislature sought to avoid the need for a constitutional amendment by codifying the contests as those of skill. According to the argument from opponents of the contests, the state constitution would need to be amended to allow DFS to continue, as was the situation with the upstate commercial casinos that have opened over the past several years. The legislature passed the New York Gaming Economic Development Act of 2013, and the governor signed it into law in July of that year. In November, state voters signed off with 57% support. Why could Monday’s ruling be irrelevant? The U.S. Supreme Court — the highest court in the land — ruled in mid-May that states have the constitutional right to legalize, sanction, and regulate sports betting if they want to do so. New York’s 2013 state constitutional amendment for the new casinos has a provision that authorizes sports betting. Lawmakers were wise then to anticipate a change to the law of the land. Sports betting was then illegal under the Professional and Amateur Sports Protection Act of 1992. So, New York stipulated that the provision would only go into effect if there was a change to federal law. Daily fantasy sports and traditional sports betting have converged into an exploding industry, with DraftKings and FanDuel becoming strong players in New Jersey’s sportsbook market. If New York technically legalized sports betting back in 2013, then what’s the hold-up? State lawmakers and gaming officials need to pass another law to create a framework for exactly how sports betting will be implemented. There’s significant lobbying going on right now across many states with regard to how the sports leagues and the casino industry will divvy up the new revenue streams. The casino industry projects that the leagues will collectively benefit to the tune of $4.2 billion without state or federally mandated royalties paid by sports betting operators. Another reason that New York needs a second law for sports betting is that the 2013 constitutional amendment doesn’t create any regulatory clarity for the implementation of mobile sportsbooks, which are already generating more than half of New Jersey’s sports betting revenue. New York, whose Senate has previously approved online poker legislation (before it died in the Assembly), is not expected to drop the ball when it comes to rolling out internet-based betting along with brick-and-mortar sportsbooks. It would be foolish to limit sports betting to brick-and-mortar. Furthermore, the law in New York right now states that only the Las Vegas-style commercial casinos can be sports betting operators. New York is also home to tribal casinos and racetracks, and they too could be involved with sports betting pending the enactment of a new piece of legislation. Racetracks in neighboring New Jersey are doing comparable business to the casinos in Atlantic City when it comes to the new activity. The worst-case scenario stemming from Monday’s ruling would be the state shutting down DraftKings and FanDuel, according to a report from The Buffalo News. Both the New York Gaming Commission and Gov. Andrew Cuomo’s office reportedly are reviewing the ruling. The state Attorney General’s Office, which would be the law enforcement body to shut down the platforms, has so far deferred to the commission on the issue. As DraftKings alluded to in its response to the ruling, the state court invalidated the regulatory structure for daily fantasy sports sites, but the contests are still decriminalized and will continue. The court’s ruling stated that the legislature had the authority to exclude DFS “players” from the gambling-related penal law. An upcoming New York sports betting measure could reestablish the DFS framework, along with a slew of other sports betting options that are more lucrative for operators and state coffers. Based on Monday’s ruling, the legislature would likely have to include DFS within the definition of gambling, however. Something has to change to fix the inconsistency of the language afflicting the industry right now.